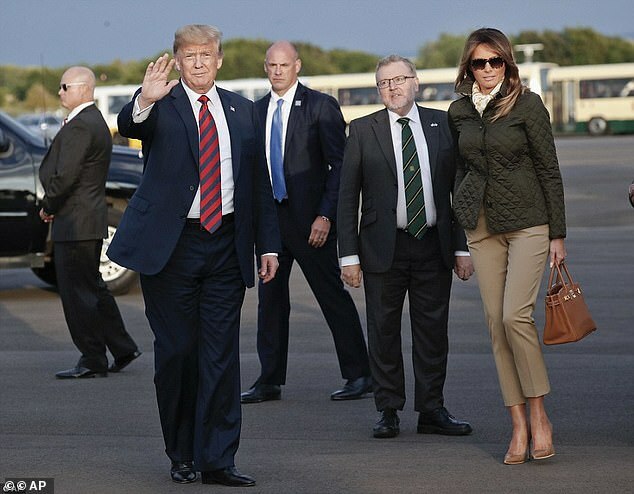 Police Scotland spent more than £3million on Donald Trump‘s private visit last summer, it has been revealed. The force had to arrange for hundreds of officers to attend protests and other events during the US President’s trip in July. 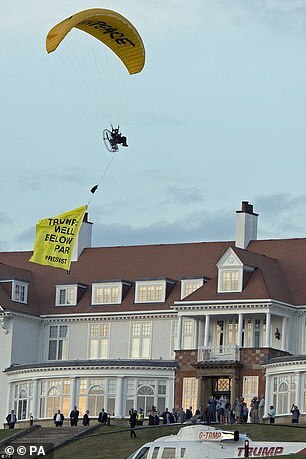 He spent two nights at Trump Turnberry resort in Ayrshire after meeting the Queen and holding talks with Theresa May. Despite the short stay, it was costly. The force has disclosed it spent £3.2million over its usual budget to provide policing for the visit. In response to a freedom of information request from the Guardian, Police Scotland said 5,537 personnel had claimed overtime or time off in lieu, with the overtime bill reaching nearly £1.6million. Acting Chief Constable Iain Livingstone had to cancel leave and rest days to ensure sufficient manpower for the visit. Scottish Green co-convener Patrick Harvie told the paper: ‘The public will be appalled at the cost we are all paying as a result of the UK Government fawning over this bigoted bully. During his stay a number of protests took place. One man was arrested after he floated down to the hotel on a paraglider. 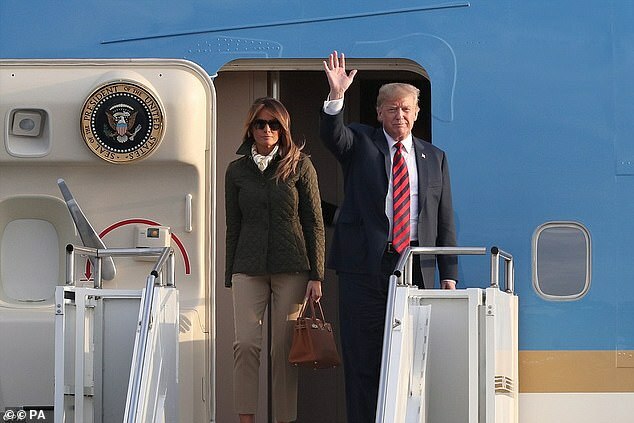 Calum Steele, general secretary of the Scottish Police Federation, told the Guardian: ‘The President of the United States did not visit the UK to meet the Prime Minister of England. Justice Secretary Humza Yousaf asked the UK Government to cover the costs. Treasury minister Liz Truss has confirmed the UK Government will be footing the bill.